Here's an interesting fact. Carrots are related to that lacy wildflower found along most eastern highways - Queen Anne's lace. They now come in many shapes and sizes and there is a variety available for any soil and any growing season. 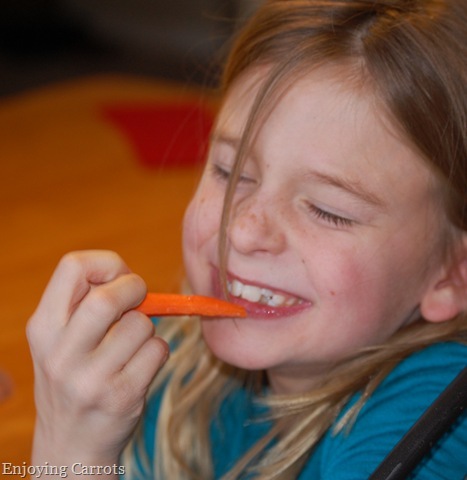 There is really only one warning when it comes to carrots and that is to not overdo it. 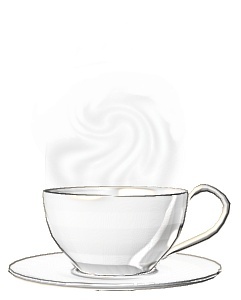 Unfortunately some people seem to think that if a little of something is good, a lot is better - and this is very often NOT true. Carrot juice is a good case in point. Have a glass a few times a week can be a great tonic. Having several glasses on a daily basis can actually turn your skin orange - and that's no joke. 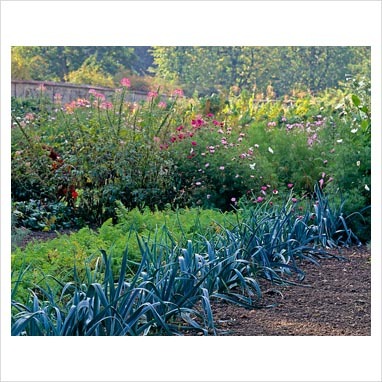 Spacing : In a Square Foot garden, you can plant 4 rows of 4 in one 12 inch square. 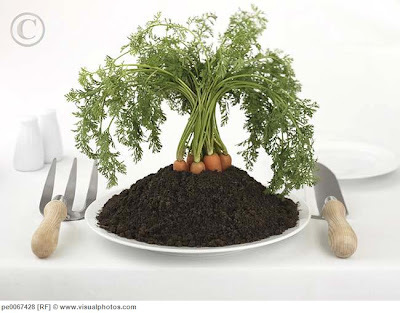 Since carrots are root vegetables, the most important consideration is your soil. 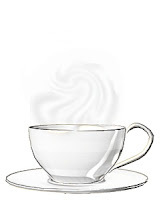 If you want to grow the long thin variety you have to have deep and loose friable soil. If you are gardening in clay, the short and stubby variety are the best kind for you to choose if you want to have a successful crop. Planting can be a bit of a pain because the seeds are so small. You can now buy pelleted seeds or seeds on a tape which make this a bit easier. Plant 2 or 3 seeds in each hole just in case some don't germinate, and then thin and keep the best plant that comes up. 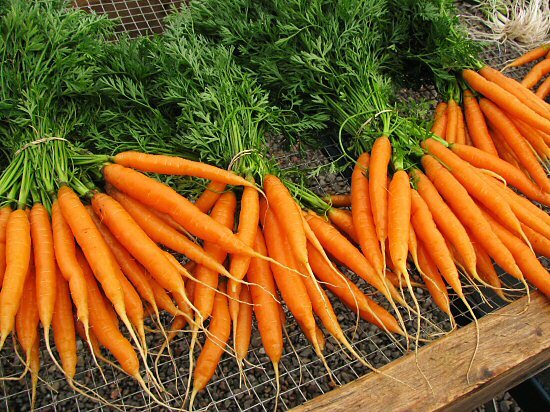 Carrots are pretty easy to grow and don't tend to be attacked by many pests or diseases. They do require a lot of water so make sure the ground is always wet - but not soaked - or your carrots might crack from over-rapid growth. Here are a couple of videos on how to grow carrots. And if you have very clay soil, you might want to try this method of growing carrots in a bucket. Keeping a regular supply in your fridge and chomping on a raw carrot whenever you want a snack is the easiest as well as a tasty way to use carrots and reap all the benefits. 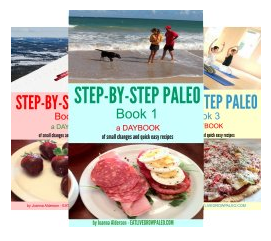 as well as eating them mashed or roasted. 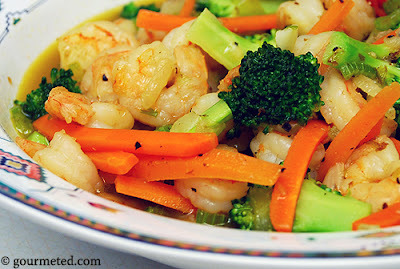 Because they are one of the sweeter vegetables, carrots are frequently used in baking as well. 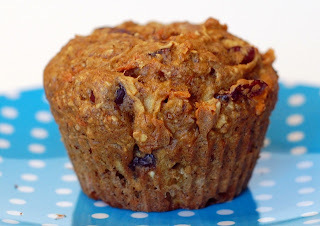 Having a healthy protein muffin made with carrots and walnuts for breakfast is a nice treat. 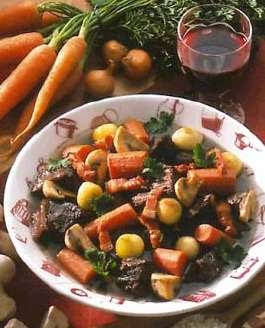 Since carrots are used in many dishes - such as this Burgundy beef - you are not likely to run out of ideas. And because carrots will keep nicely in a cold place for many weeks if not months, they are a great staples to have on hand. Carrots have many benefits, but like most things in life, you don't want to be extreme in your love for carrots. 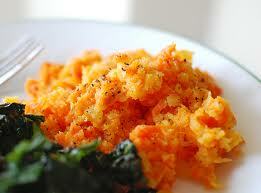 Carrot juice, as mentioned above, can be a great tonic, but you don't want to indulge in this too often. 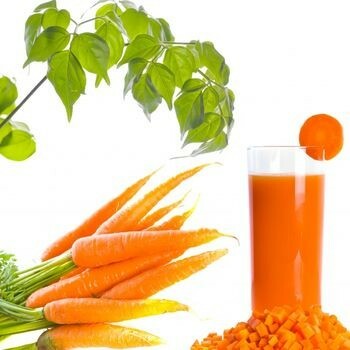 In some instances when eating solid food is problematic, having a raw juice instead is a great way to get all the benefits, but in the long run it's a lot healthier to eat your carrots whole. You not only get the benefit of all the fibre but you also don't run the risk of getting too much sugar in your system and spiking your insulin. 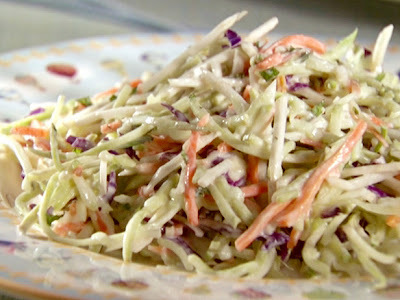 Finally, here is a great idea for a kid-friendly summer snack, or even as a centrepiece for a summer party. 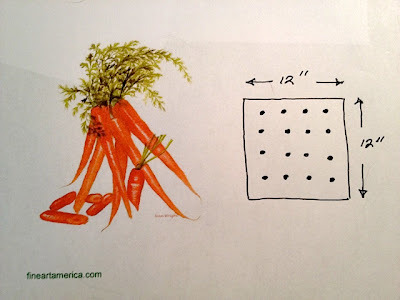 Found on tasteandtellblog.com , these "carrot patch treats" are easy to make. 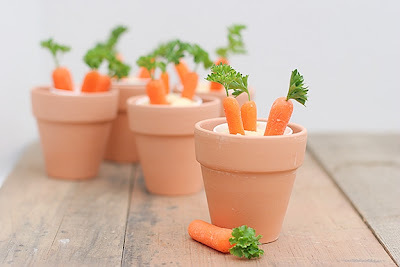 Just put paper cups with dip into tiny clay pots, stick in some baby carrots, and top with a sprig of parsley. Alternatively you could use your own baby carrots from your own garden with the tops trimmed. The inspirational garden today comes from gapphotos.com . Here are leeks and carrots growing in a kitchen garden.